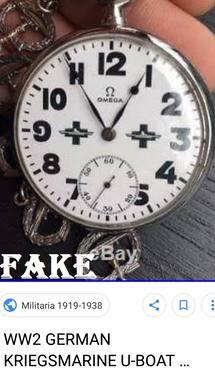 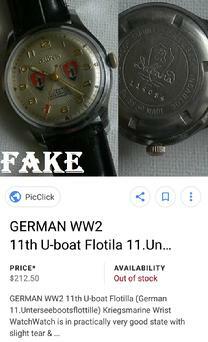 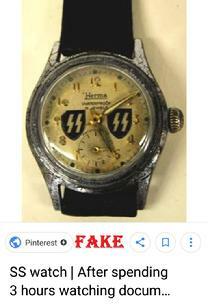 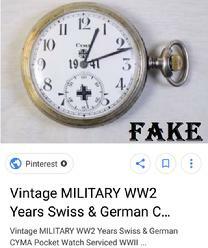 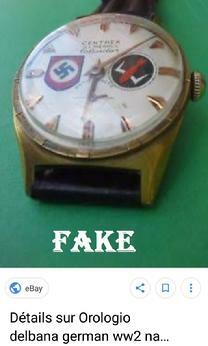 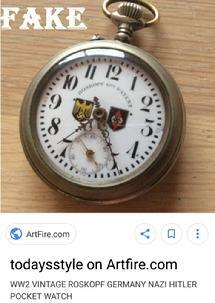 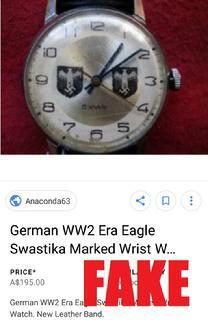 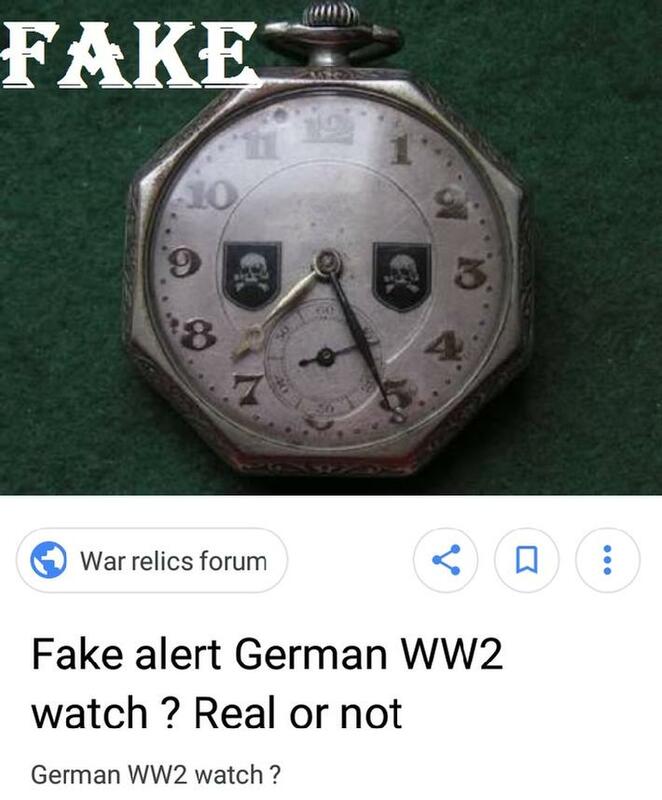 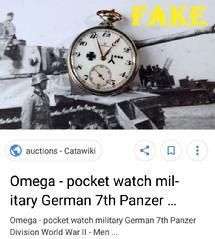 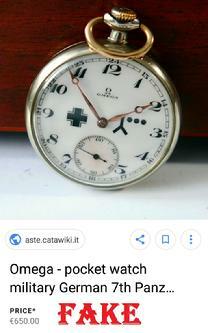 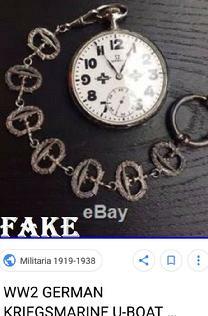 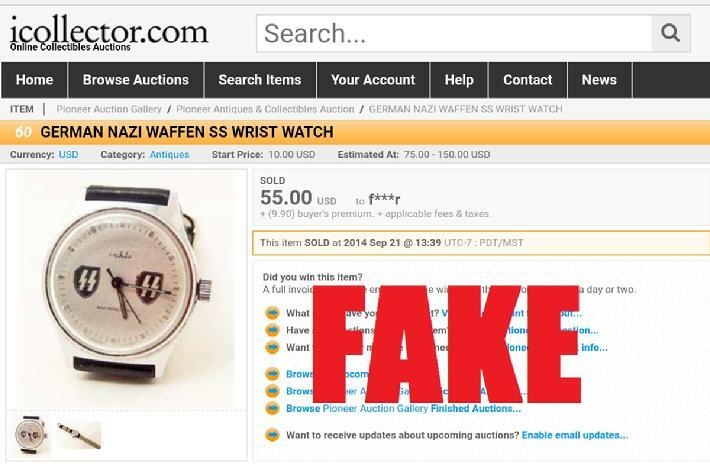 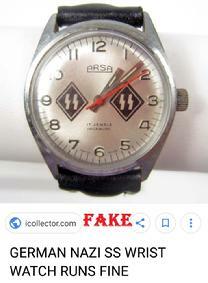 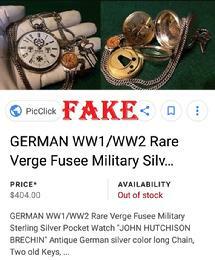 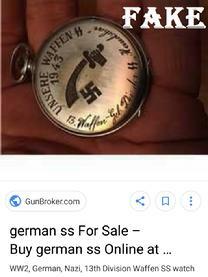 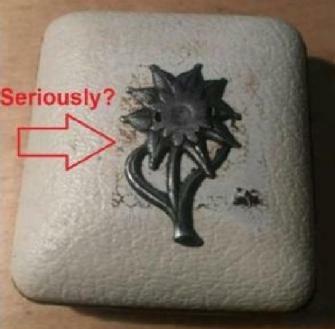 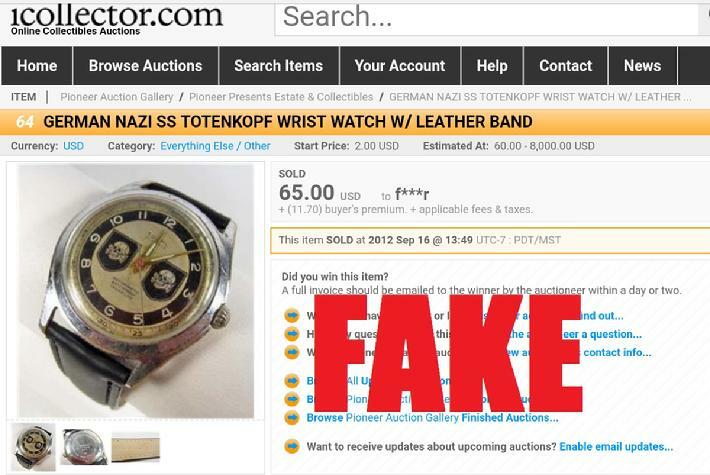 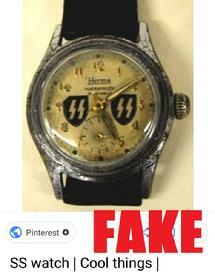 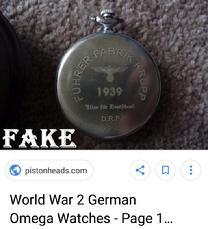 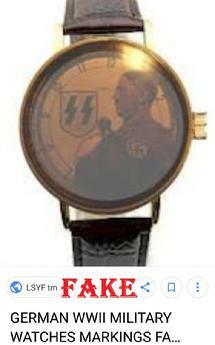 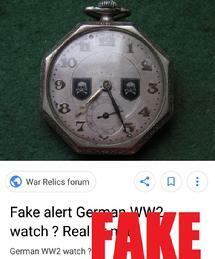 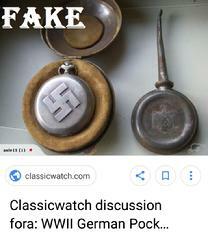 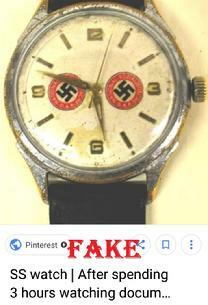 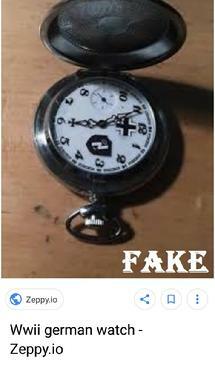 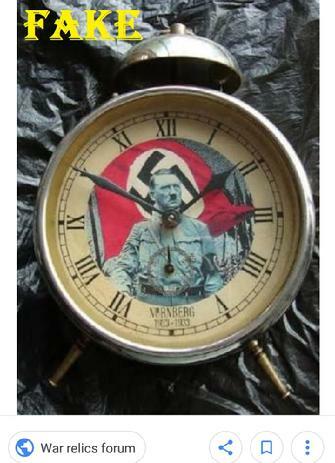 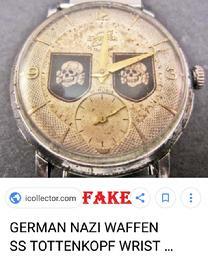 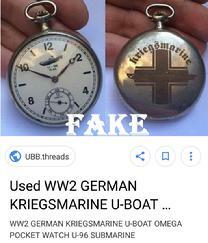 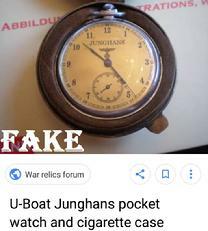 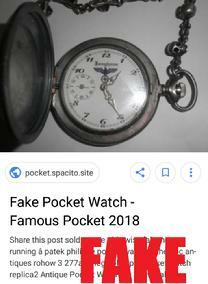 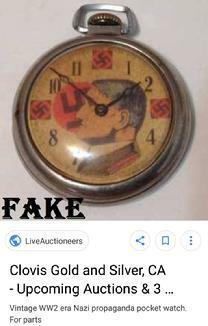 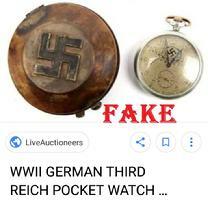 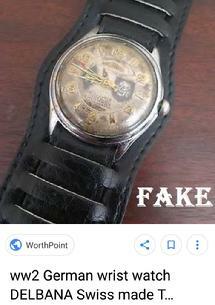 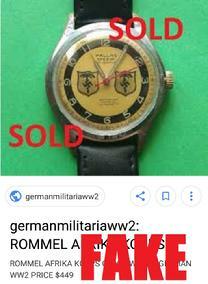 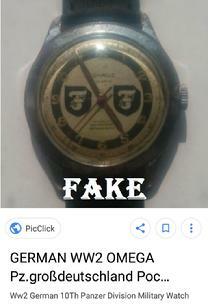 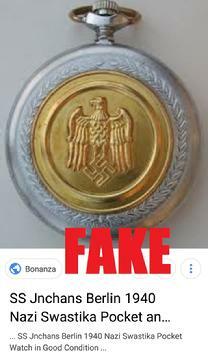 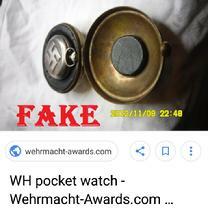 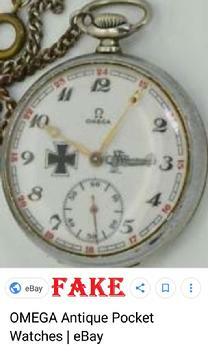 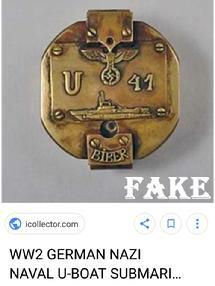 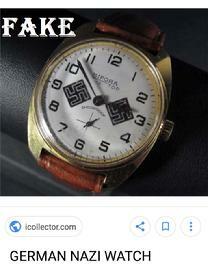 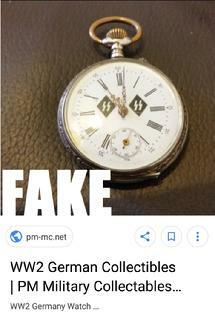 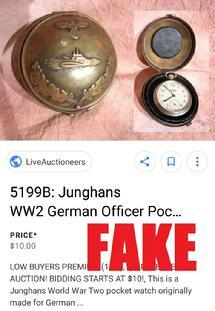 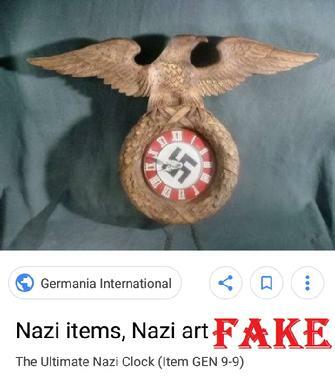 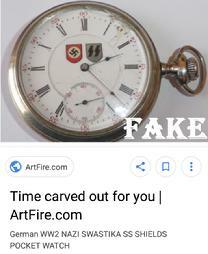 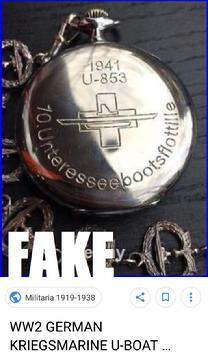 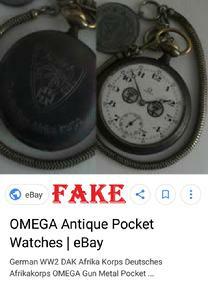 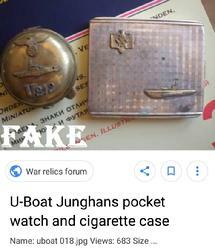 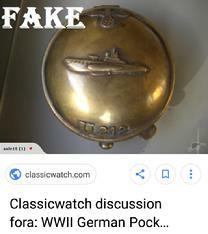 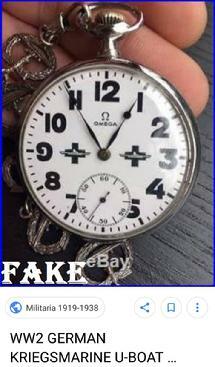 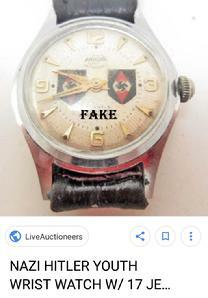 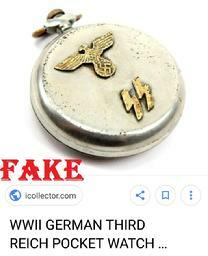 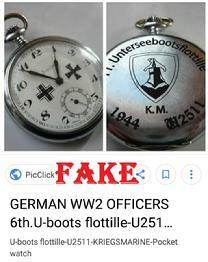 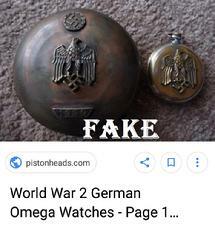 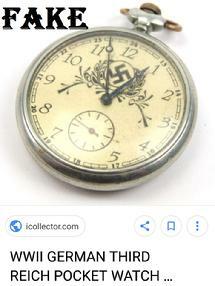 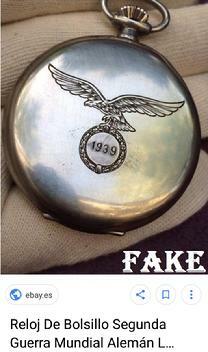 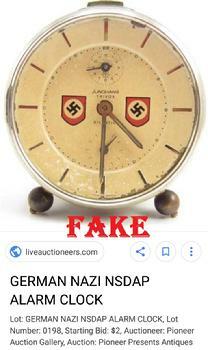 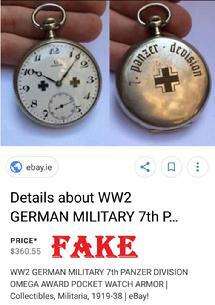 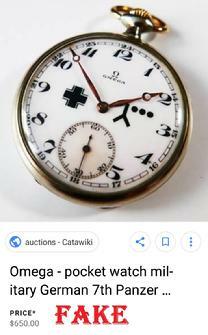 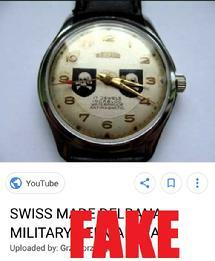 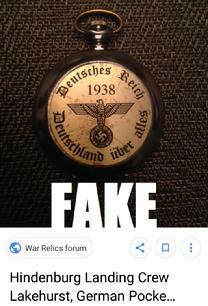 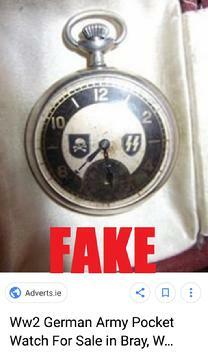 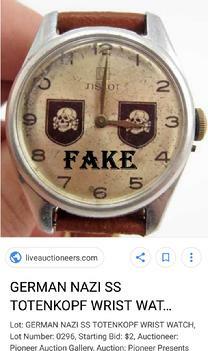 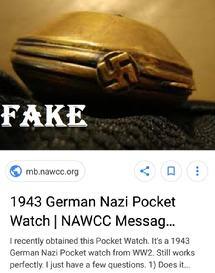 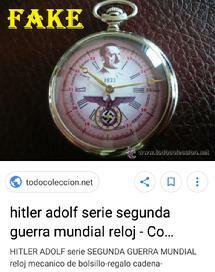 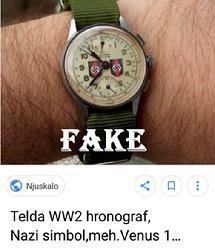 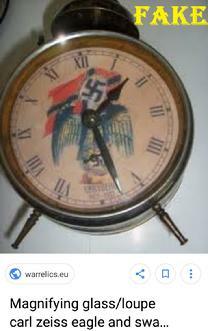 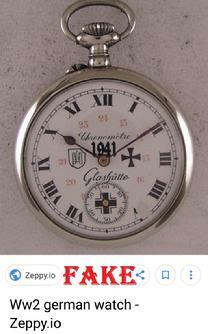 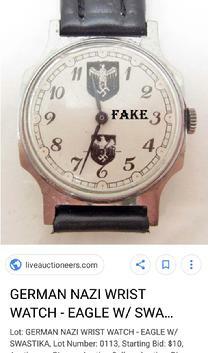 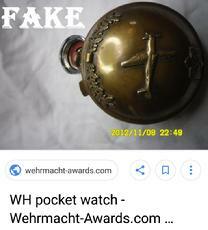 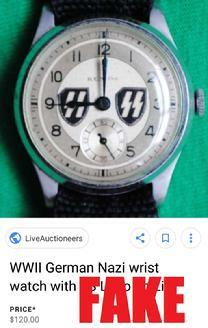 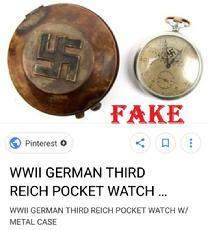 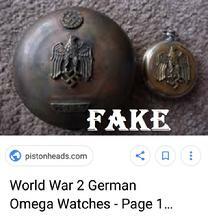 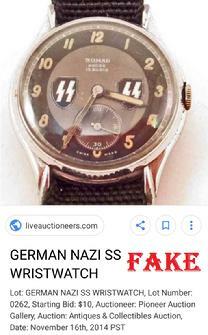 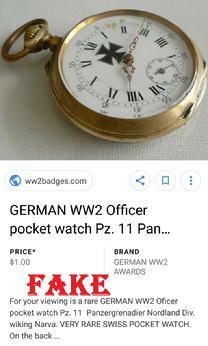 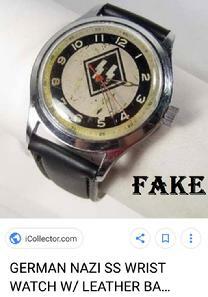 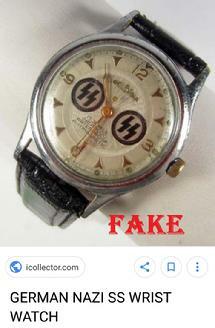 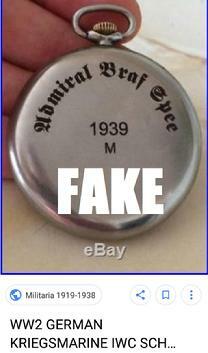 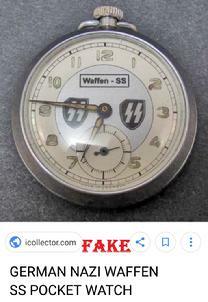 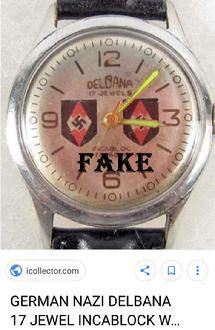 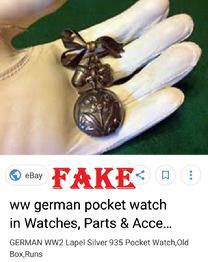 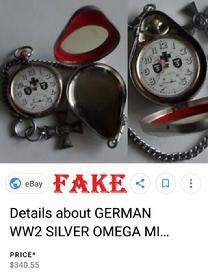 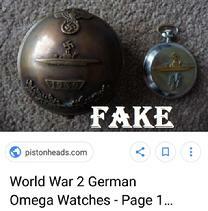 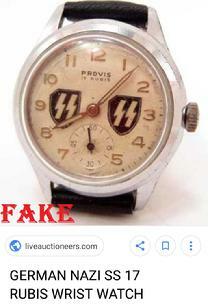 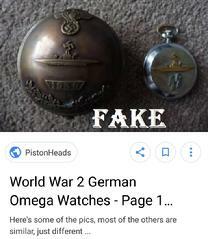 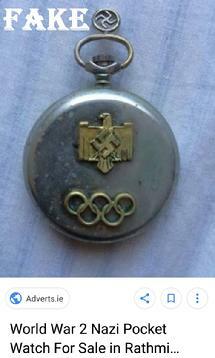 It’s pathetic how many of the ridiculous fake Nazi watches are on the net every single day. 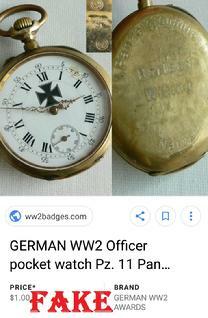 None of these watches ever saw WW2 or a real Nazi. 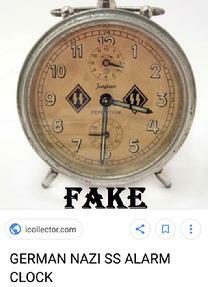 Many are just old watches & clocks they have changed the face on, and quite a few have been altered using the tiny stickers made for people who build WW2 model planes, etc. 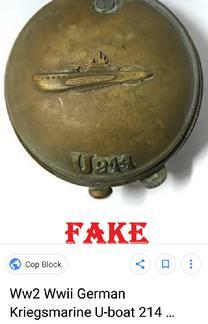 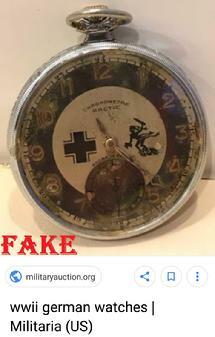 The one on the right is an old travel clock from the seventies with a Mountain Troops Cap Badge added to it, which is also fake. 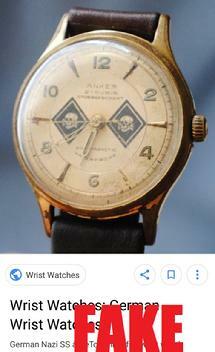 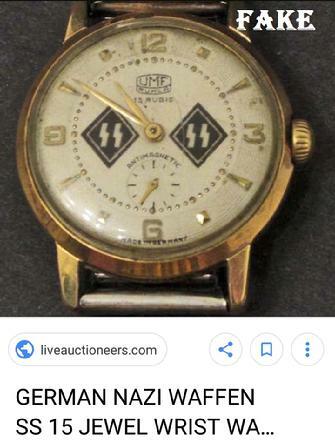 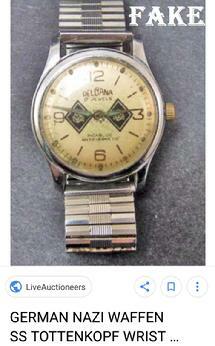 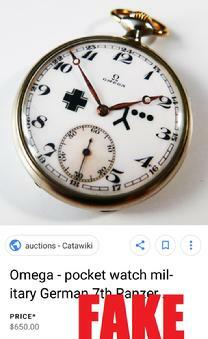 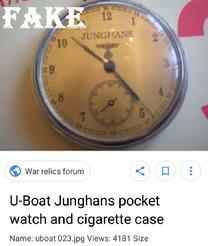 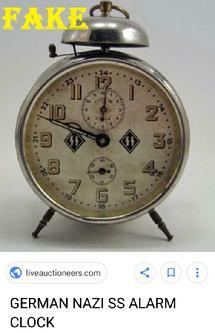 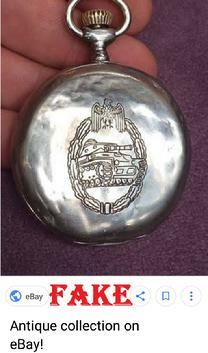 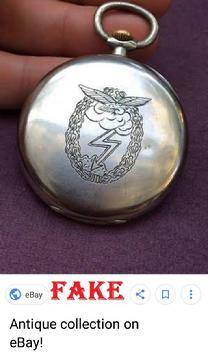 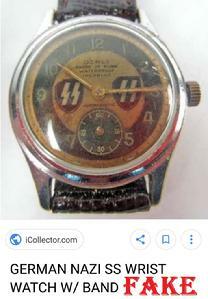 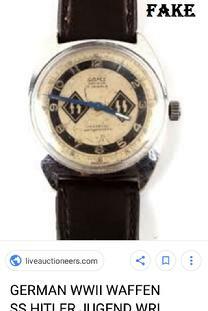 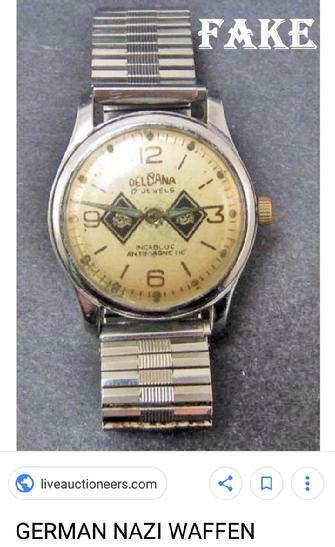 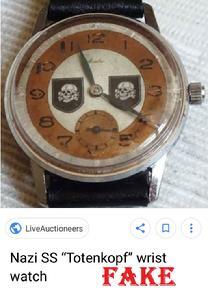 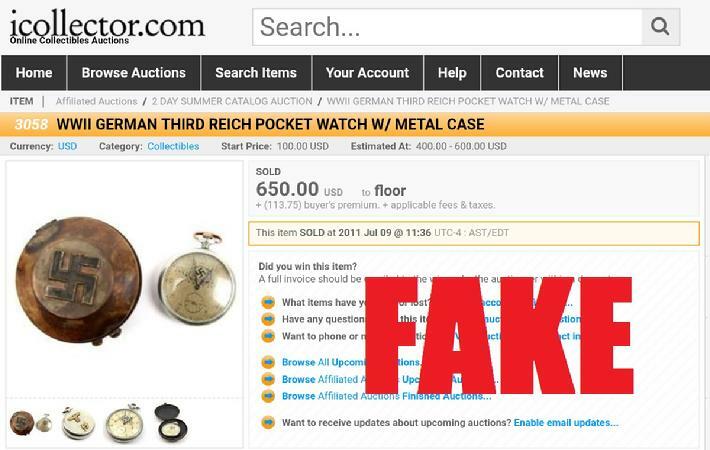 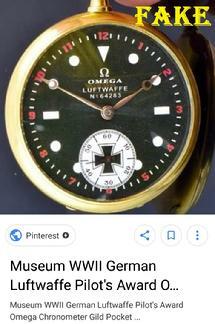 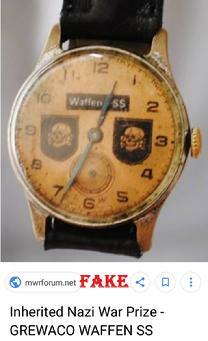 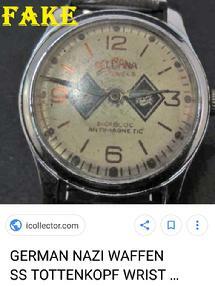 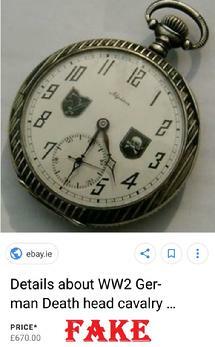 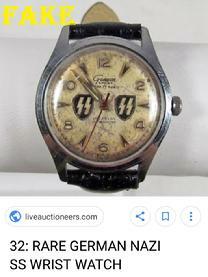 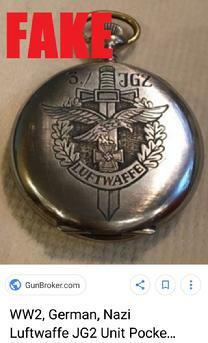 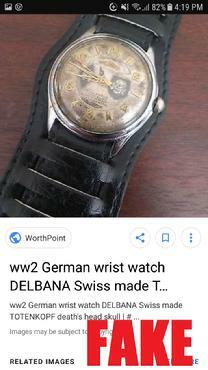 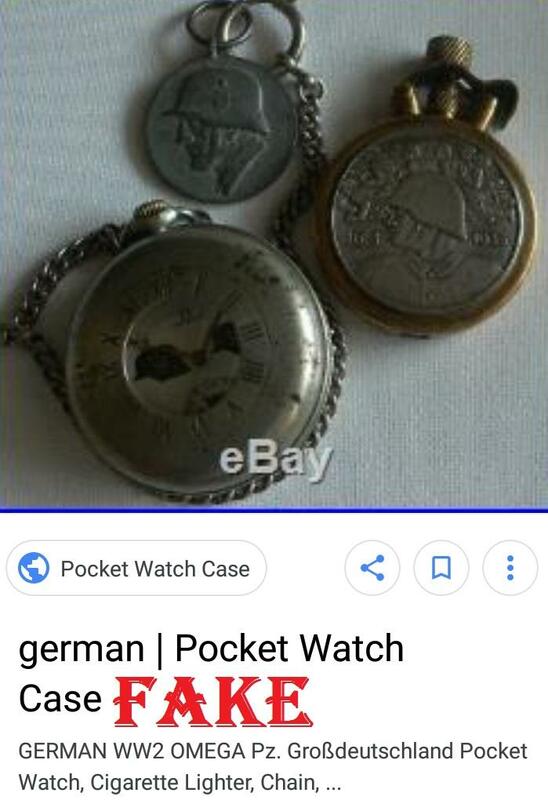 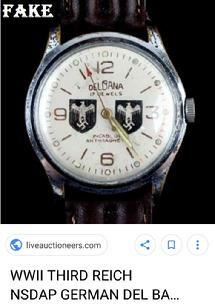 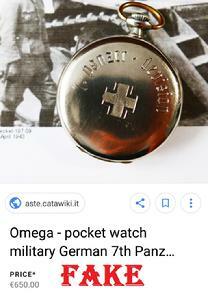 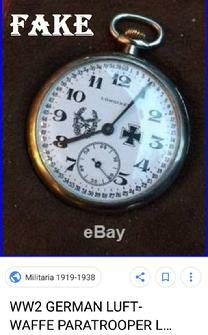 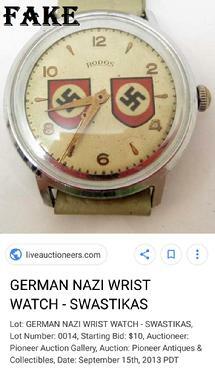 One would think that the sheer volume of Nazi watches flooding the market would be a clue that perhaps these aren't the rare relics they are claimed to be; but people will believe what they want to believe and they apparently want to believe they scored a piece of history for a couple of hundred bucks.